I haven;t been around much. We've been kinda distracted in the evenings, playing games. 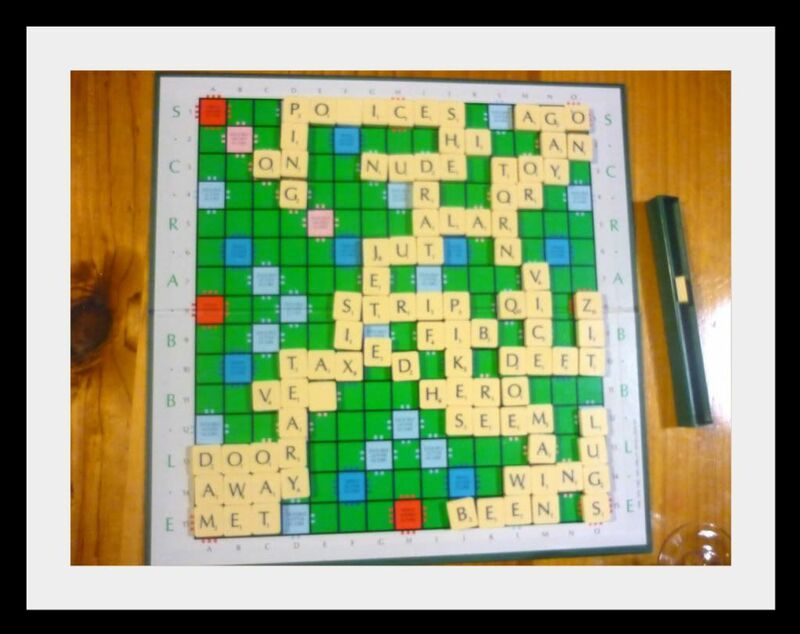 My sister has got back into scrabble with a vengence! I was really impressed with this board. That little corner down the left is all my doing. I managed to make a 9 square that makes perfect sense. Actually we put a lot of those words into this game, ones that double up other words. I spent quite a bit of time reading the dictionary while doing this game. I have a BIG BIG BIG dictionary! It's A4 size and about 10cm thick! You can find most words in it without having to find another book but it does take a while to find words and then we had arguments whether some of the more foreign words would be allowed.